Say you're looking to get engaged, and say you're not a billionaire. Spend $20k on an engagement ring? I mean, who's got that kind of money?? 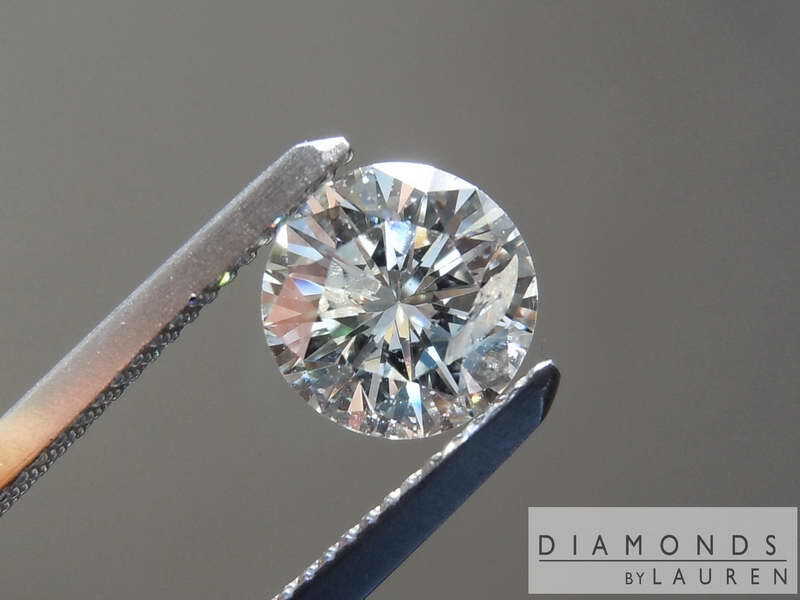 So we always look for stones that look great, yet don't hurt your wallet. 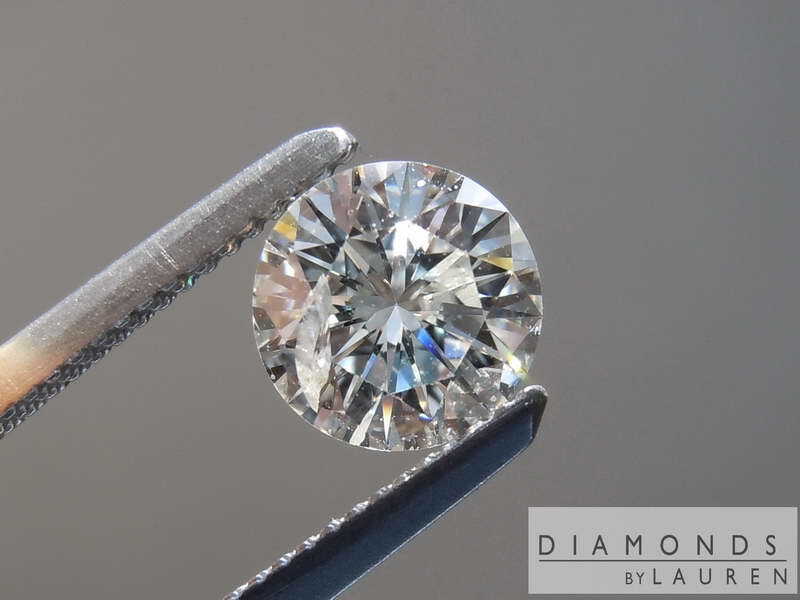 It's pretty easy to see why GIA graded this diamond I2, but in person, you don't notice that white thingie (technical diamond genius term). 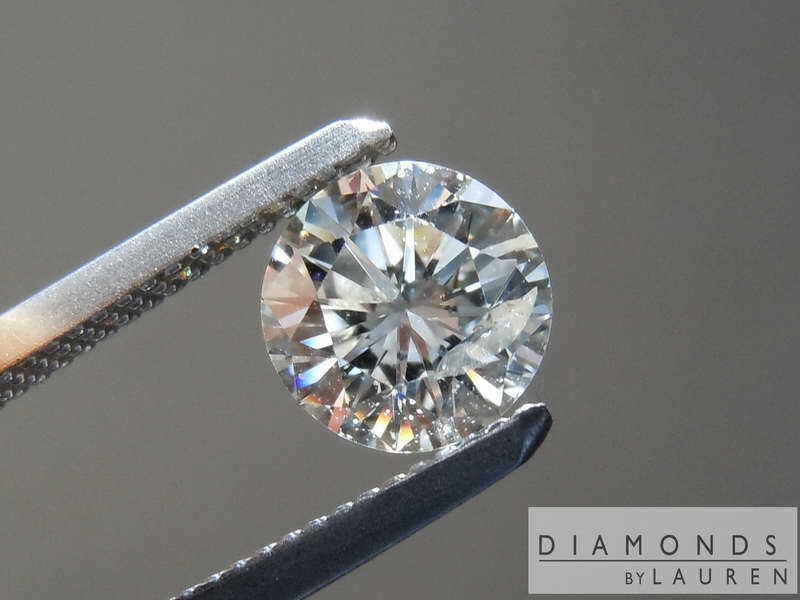 The stone came to us from an estate - it's an old diamond. 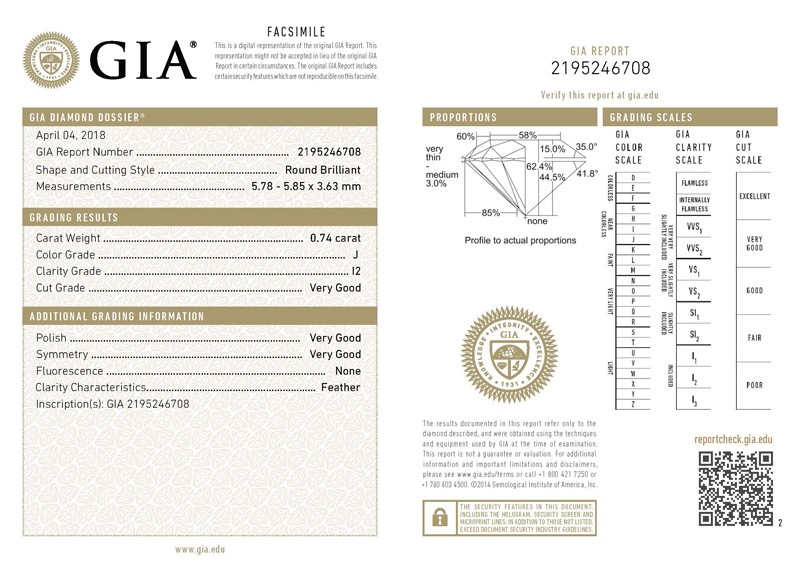 Really nicely cut (GIA VG cut grade) and the style is rather old-fashioned with lots of fiery sparkles. 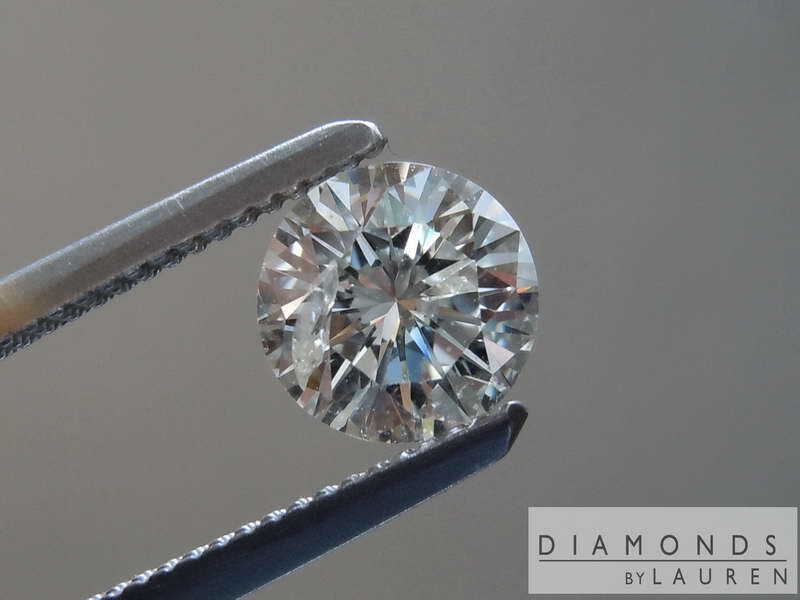 Very good size for a 3/4ct diamond. 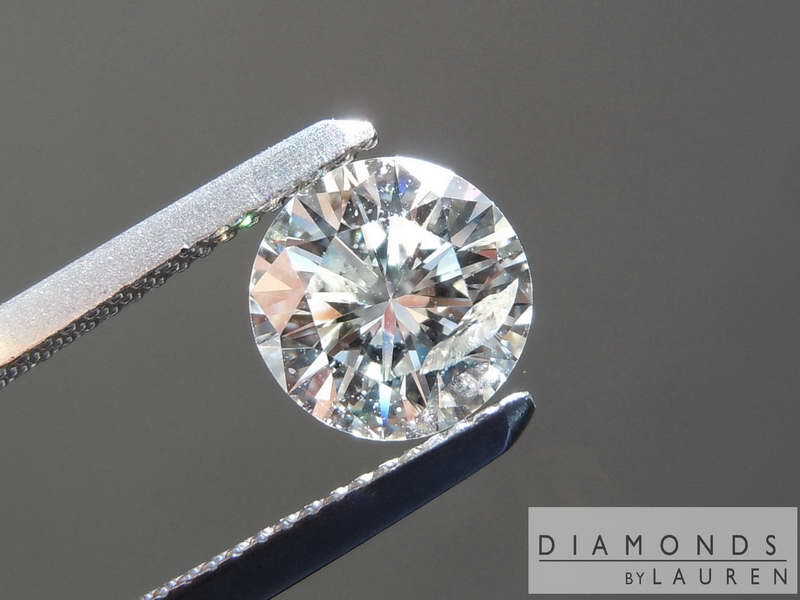 It's so bright, people will mistake it for a one carat diamond. 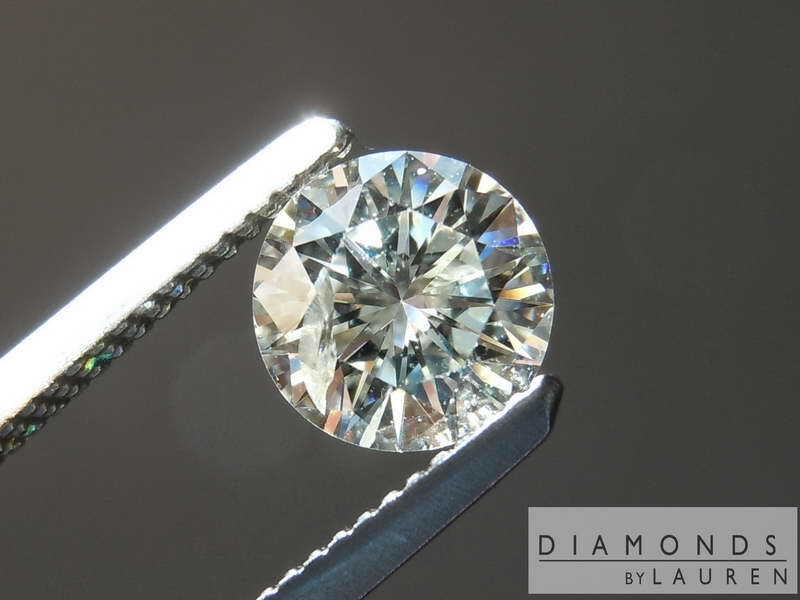 Check out our ring selection -we can make you an awesome ring or pendant from this stone.